I originally posted this piece on a now defunct forum. I have reposted because someone has quoted Freire to me following my recent article on labour teachers. I have removed the links in the original. Recently, I have been reading “Pedagogy of the Oppressed” by Paulo Freire. It is a hugely influential book. For instance, it is one of the most frequently assigned texts in philosophy of education courses in the US. Over one million copies have been sold, probably as a result of such assignments – an extraordinary number for a book about education. Google Scholar returns nearly 41,000 citations for the 2000 edition. 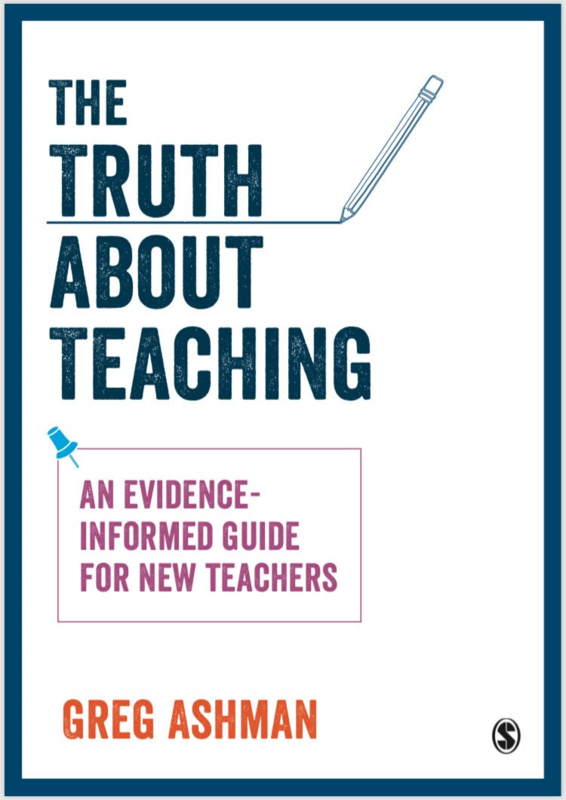 If you are a teacher anywhere in the English-speaking world then I suggest that there is a good chance this book has directly or indirectly influenced your practice, whether you have heard of it or not. And it is the foundational text of a movement called Critical Pedagogy. I had read previous reviews and felt that I therefore knew some of the basic concepts. Coming from the left of the political spectrum, I expected to feel sympathy towards a concept of education designed to help liberate the poor and disenfranchised. However, given my views on the effectiveness of explicit instruction, I also expected to find the suggested solutions to be misguided. Those were my preconceptions. What I actually discovered really blew me away. The book is written mainly in the abstract and this makes it quite hard to apprehend. From the start, Freire sets-up a distinction between the ‘oppressors’ and the ‘oppressed’. There are few concrete examples of what this means. Via a quote, we see that the indigenous population of colonial North Africa would be an example of the oppressed. We should also consider South American peasants to be amongst their number. However, when relating this to modern, developed societies, it is hard to see where the dividing line lies. For instance, as a teacher I am a member of the Australian middle classes. What does that make me? Oppressed or oppressor? The phrase ‘middle class’ only appears in one footnote with the implication that the middle classes suffer from a ‘dominated consciousness’. So perhaps I am also oppressed. Or perhaps life is a bit more complicated than such a simple distinction suggests. According to Freire, individuals have an ontological and historical vocation to become more fully human. A situation of oppression interferes with this. The oppressed become dehumanized and, in oppressing them, the oppressors are also dehumanized. The only ones who can fix this situation are the oppressed – the oppressors themselves are incapable. We are talking about revolution here; a rising-up of the masses (it is interesting to note that Freire is writing in 1968). However, this must not be action for action’s sake. Rather, such a rising needs to be reflective. The synthesis of action with reflection is known as ‘praxis’. Interestingly, although Freire and subsequent critical pedagogues have used the term in this way, the modern rehabilitation of the word ‘praxis’ was by Hannah Arendt as a criticism of philosophers who just think about things without engaging with the world. Arendt certainly does not share Freire’s views on education as is clear from her famous essay of 1954. One of the big problems that every revolutionary leader finds with the masses, of course, is a disinclination to do all this rising up. This is where the pedagogy comes in. After the revolution, a new type of education will be needed and can be provided by the people, for the people. However, in the meantime, it is necessary to start raising the consciousness of the oppressed; enabling them to think critically about their situation. This is the pedagogy of the ‘first stage’ and it cannot be imposed upon the oppressed didactically but must be done by posing problems – more later. Once they are more fully conscious of their situation and that the limits that they find themselves in – Freire calls these ‘limit-situations’ – can be breached, the oppressed will all come to the correct conclusions and rise up against the oppressors in this action-plus-reflection way. You need to reach about 10 per cent of them in order to get them to do this. Are you starting to feel a bit uncomfortable yet? Well this is where it gets even darker. I wonder, are we talking about counter-revolutionary police here? Later, Freire returns to this point. Again, this is in the abstract, so we can’t be sure that Freire really means things like the Red Guards or the NKVD or Che Guevara and his firing squad. However, there are some clues. For instance, Freire goes on to discuss ‘stage 2′; the stage after the revolution. In a footnote, he writes that this appears to be a feature of Mao’s cultural revolution. Until now, I had found it odd that in attempting to impose a set of revolutionary values upon people, critical pedagogy claims to be serving the ideals of democracy. The thinking involved in such an effort is now clearer: By listening to the people and reflecting back what you have received from them you are a democrat. Certainly, touchstone figures to whom Freire refers approvingly, figures such as Che Guevara or Chairman Mao, are not democrats in the conventional sense of the word – holding elections and the like – but perhaps they are a more ‘authentic’ kind of democrat. By now, you’re probably a little puzzled as to why this book is assigned by schools of education. And well you might be. However, the key section for educators is probably Chapter 2 where Freire outlines ‘problem-posing’ education and contrasts it with the ‘banking concept of education’ where teachers ‘deposit’ knowledge in their students. I still don’t really understand the ‘problem-posing’ model. From what I can gather, it exists mainly as an antithesis. However, we can catch glimpses: Freire talks of showing peasants photographs and asking them what they think about them. He goes to great lengths to try to explain how themes and topics should be chosen; never by the teacher but in dialogue with the students and always relevant to the direct experience of the students. However, there’s some hand-wringing here because Freire has clear objectives as to where he wants all of this to go. There is also an element of farce about these middle class teachers – ‘teacher-students’ in Freire speak – going into villages of apathetic peasants and launching investigations ‘with’ them. It’s not paternalistic at all. No, not at all. Honest. Really. So, according to Freire, I can choose between a model of education where I negotiate topics and themes with the students in a continual dialogue, focusing on critical reflection, or I can adopt the banking model in which I assume their absolute ignorance. But are there not other options? I think there are and so Freire is presenting us with a false choice. We are presented with non sequiturs here. Many of these points simply do not follow from a banking model. For instance, can the students and the teacher both not think? Can the teacher not, for instance, talk and then ask questions so that the students also talk? Do the students not act? If not, what exactly are they doing? In my view, a teacher needs to both have and exercise authority, at an intellectual and a disciplinary level. Freire mainly talks about adult education and so maybe the latter is not as pertinent to him. However, a lack of teacher authority poses two main problems. Firstly, misconceptions will develop; concepts that have been demonstrated to be false but which are traps that people fall into e.g. that the Sun orbits the Earth. These have to be corrected from an authority and cannot be co-constructed out of students’ experiences. Secondly, the absence of teacher authority does not lead to egalitarianism. If you have ever experienced a difficult inner-city classroom you will know that whatever authority a teacher relinquishes will be taken by another; perhaps a classroom bully. This does not lead to a safe environment in which to learn. So, Feire presents us with a false choice between a caricature – the banking model – and his own problem-posing education. Yet, it is Friere who accuses proponents of the banking model of setting up dichotomies. Again, I don’t see why any of this has to be the case. It is, in fact, another one of Freire’s many assertions. And this leads us to the deep irony that underlies the whole book. In reading Freire, we are effectively absorbing a one-way communication, full of questionable assertions, from a man who thinks he is an authority. He has a world view. He communicates it in the abstract. True, he cannot make it relevant to my own situation because he does not know me. However, he struggles to make it relevant at all; only occasionally peppering his monologue with real-world contexts. Freire’s book therefore represents the quintessence of what he is opposed to. Freire’s focus is on developing critical thinking. However, the assumption is that once so developed, everyone will see the world as Freire does. I find this extremely implausible although this kind of thinking is a common fault of revolutionaries. Why else would dissidents in totalitarian regimes so frequently be sent for ‘re-education’? Moving from the abstract, let’s think about one of Freire’s limit-situations; the situations that keep the oppressed down but that the oppressed may overcome; the ‘untested feasibility’. What might they be? Can we even agree? Is religion, for instance, a limit-situation used by the oppressors to dominate the oppressed or is it a key freedom that the oppressed exercise in ‘becoming more fully human’? Who is to say? Maybe it is neither of these things but rather it is an irrational product of our evolution? Is alcohol a limit-situation? Or is it a right? I want to live in a world where people are disputatious and where ideas can be discussed and challenged; a world where weak assumptions and prejudices are exposed. Such a world is an educated world, where people learn objective facts, theories, stories and what others have said before; a world in which people are free to speak, write and dispute. Learning about something is the first essential step along the road of critiquing it. The cultural revolution is quite the wrong model to follow. Previous Post Do lefties have to love inquiry learning? Why do we give this book or this person any credence at all in 2015? The only people I’ve met, in person in an actual teaching context, who use Freire tend to be mental midgets that need to look smart. Thanks for an excellent deconstruction of a tome that I will never pick up. TL;DR at its finest! I do not agree that the misconception that the sun orbits the earth can only be ‘corrected from an authority’. That the earth orbits the sun can certainly be established from terrestrial observation. Indeed, so far as I understand, that is how it was done. This is certainly true. But I’m not convinced that this would be the optimal way of teaching the concept. I seem to recall that, historically, this was an issue of some dispute. For instance, the Ptolemaic Earth-centred system predicted the movements of the planets better than Copernicus’s system until Kepler introduced the concept of elliptical rather than circular orbits. This could take some time to deal with. then it is highly likely to occur to them that geocentrism may not be true. Moreover, if I am right about this, then it seems to me that the learners’ resulting understanding will be very much deeper than will be the case if they are simply told that the earth orbits the sun and not the other way around. I remember being taught the names (and, more tediously still, the order) of the planets in primary school. At no point was I invited to look up at the sky. I had reached my thirties before I was aware that several of the planets the names of which I had been required to memorise in school can be seen simply by looking up at night. I gravely worry about the mindset of my teachers, who seem to have seen no value in suggesting that I do this, preferring instead to simply tell me what the syllabus told them they should tell me. Thanks for the links. I really enjoyed your other post, though haven’t yet had time to read about the Klahr & Nigam experiment. I’d only remark at this point that the benefits of learners carrying out their own investigations are presumably not confined only to their enhanced ability to recall the results of those investigations. On the (unobjectionable?) assumption that the abilty to carry out investigations is like other human faculties in that it is improved through exercise then a further benefit to having learners carry out their own investigations is simply that it will enhance their ability to carry out their own investigations. The ability to carry out our own investigations, rather than relying on an authority, is beneficial for two main reasons. Learners who are equipped to carry out their own investigations are more independent and less gullible. I don’t have research findings to substantiate this claim but it seems to me that it relies on only one, very modest, assumption. Certainly, it is unlikely that a single episode of probem solving style learning would produce a measurable difference in this increased independence and critical judgement. Does Freire ever, anywhere, say that critical thinking will necessarily entail seeing the world as he does? If so, I missed that part. Can you provide a reference?